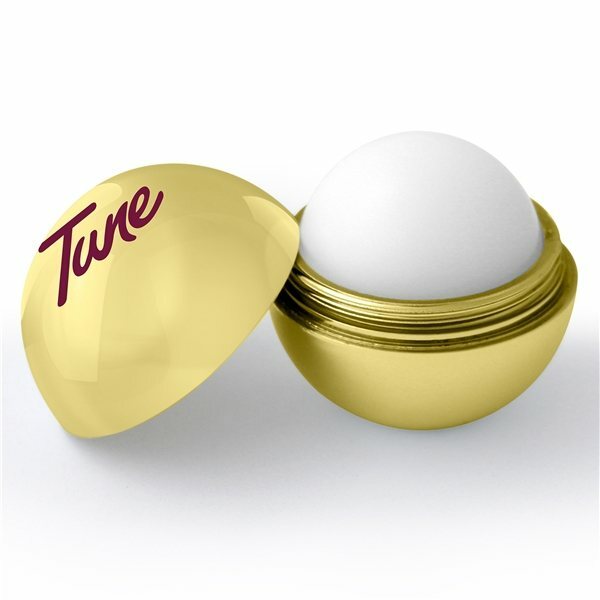 The TEK-OS Round Lip Balm from AnyPromo is a ball of lip balm in a round matte container. This premium lip balm is vanilla flavored / scented and contains natural beeswax. Available in a selection of 8 different colors with a 3/4" x 1" direct imprint on the top. TEK-OS Lip Balm Balls are a customer-voted "Top 100" item because of their retail appeal, this is an item your customers might genuinely buy themselves. 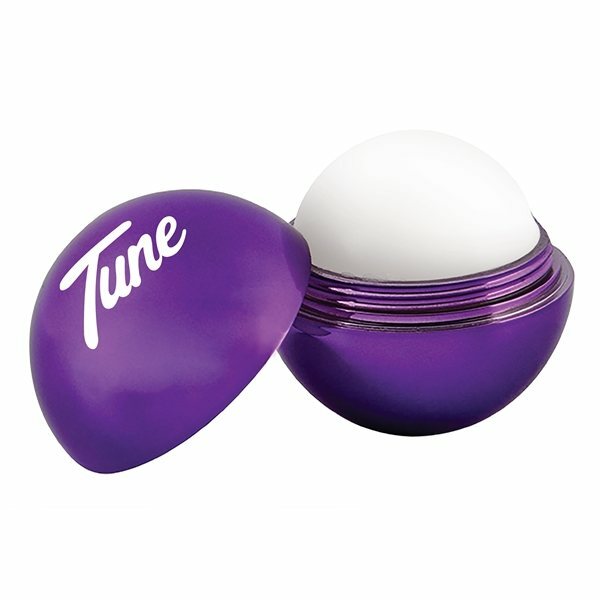 The attractive matte finish container gives this promotional lip balm look like it may have come from a cosmetics store. 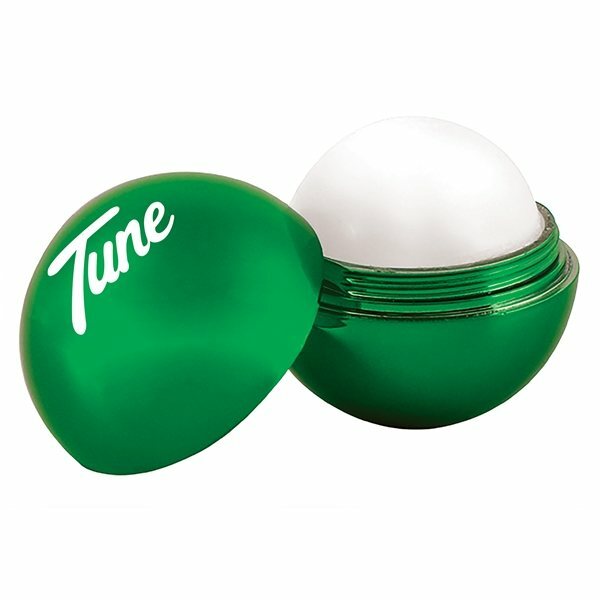 If you're looking for a premium giveaway at a budget, the TEK-OS Lip Balm Ball may be for you. 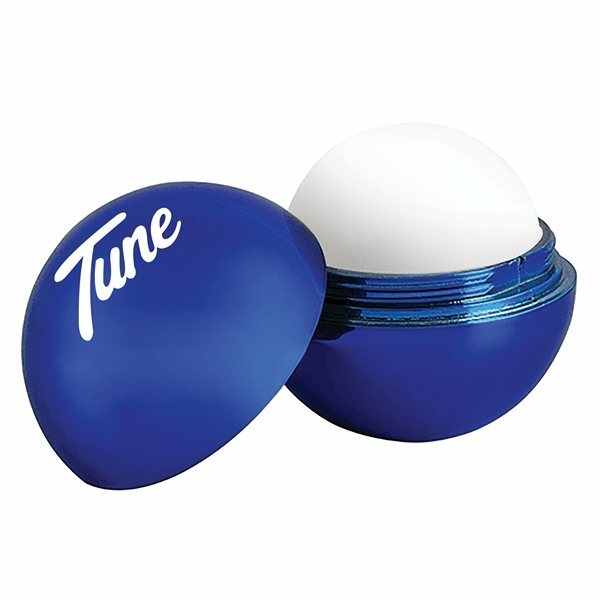 These custom round lip balm balls are especially great for trade shows and hotels, where people often forget to bring a Chap Stick. With a unique round shape and and matte finish, this item is sure to wow everyone who sees it. Available in several fun colors, the yummy vanilla scented lip balm is a great addition to every campaign. Perfect for gift shops, trade shows, and more. Ingredients: Polybutene, Mineral Oil/ Paraffinum Liquidum, Ethylhexyl Palminate, Ceresin, Microcrystalline Wax, Beeswax/Cera Alba, Fragrance, Hydroxystearic Acid, Methylparaben, Propylparaben, BHT. Turned out awesome!!! Would definitely recommend and reorder! High quality and nice chapstick scent and flavor! Veronica helped me to achieve what I wanted while remaining within an affordability range. They were an enormous hit inside my event! Like it!!! Precisely what we wanted.